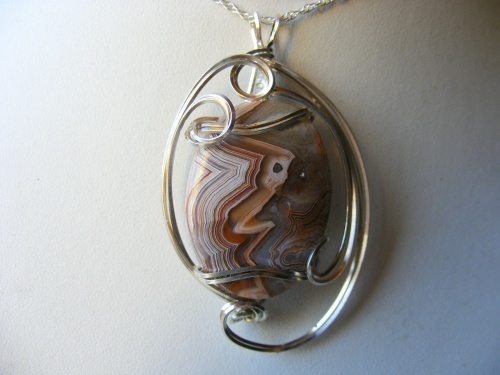 For the fun loving, this gemstone has beautiful colors of different browns and tans. Full of character, this stone is wrapped in argentium silver so it wont tarnish as easily and comes with a sterling silver chain. Measures 2" from top to bottom and 1 1/4" wide.